A portrait of my friend June, a fellow painter. June always paints a lemon into her works as a sort of signature, so as I always think of lemons, I asked her to pose holding one (actually plastic) with a lemon-yellow hat on, in front of one of her paintings. 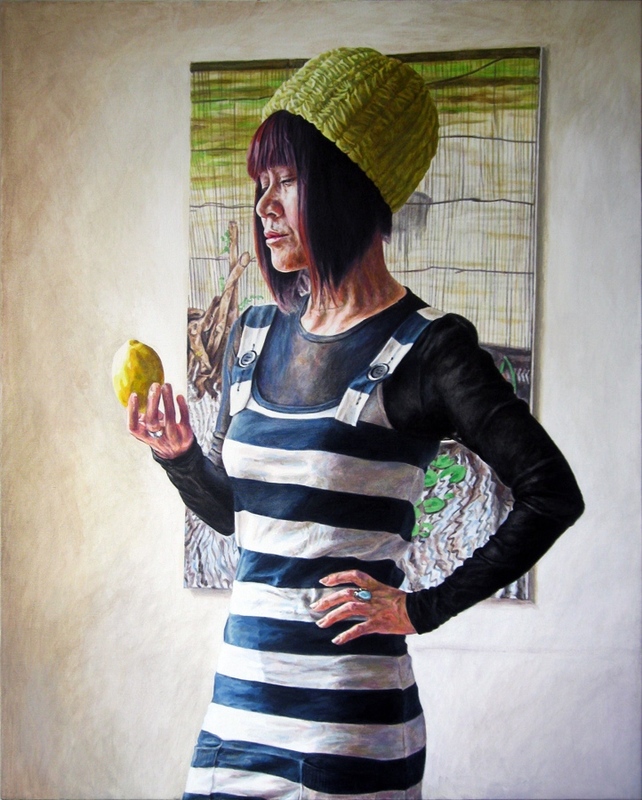 Although not too easy to see, her painting is of a view of a field in China... with a lemon in it. This painting was part of an international exhibition at The Federation of Canadian Artists. I was happy with getting the picture in as it was the first time I had entered one of the Federation's shows.